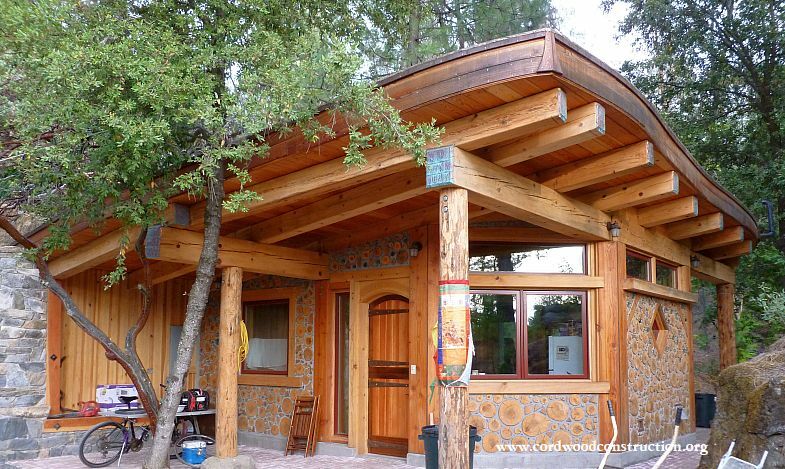 What good fortune to find an excellent timber framer who infills with cordwood. 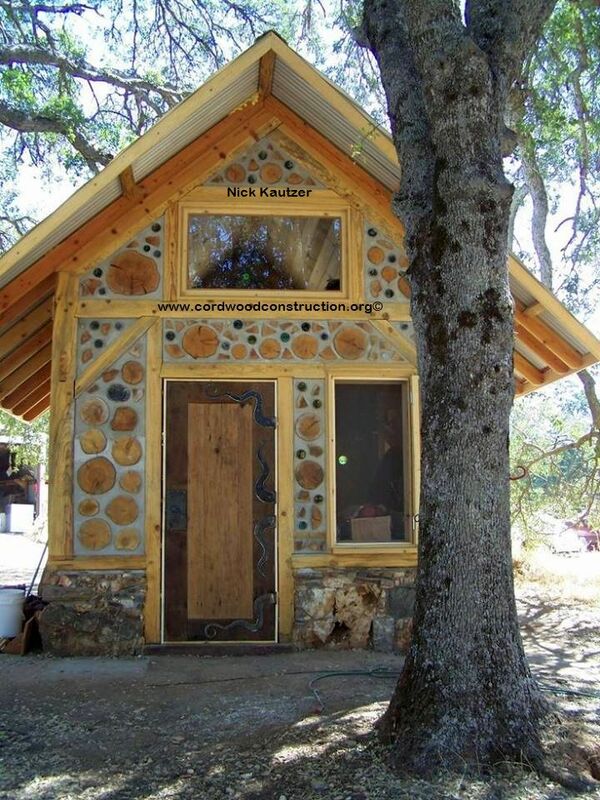 Nick Kautzer is that framer/builder and is located in Tuolumne, CA. 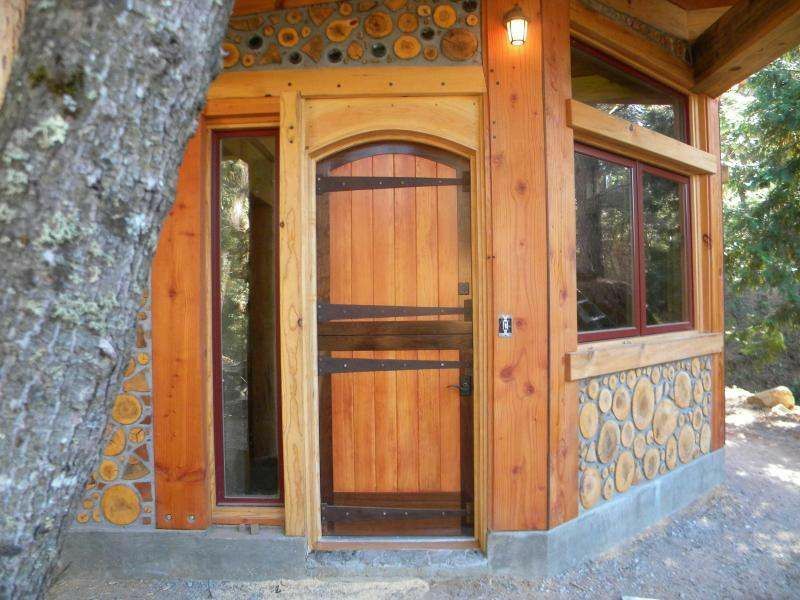 Nick Kautzer is a fine craftsman and cordwood mason. He has a wonderful “eye” for detail and his buildings flow into their surroundings. 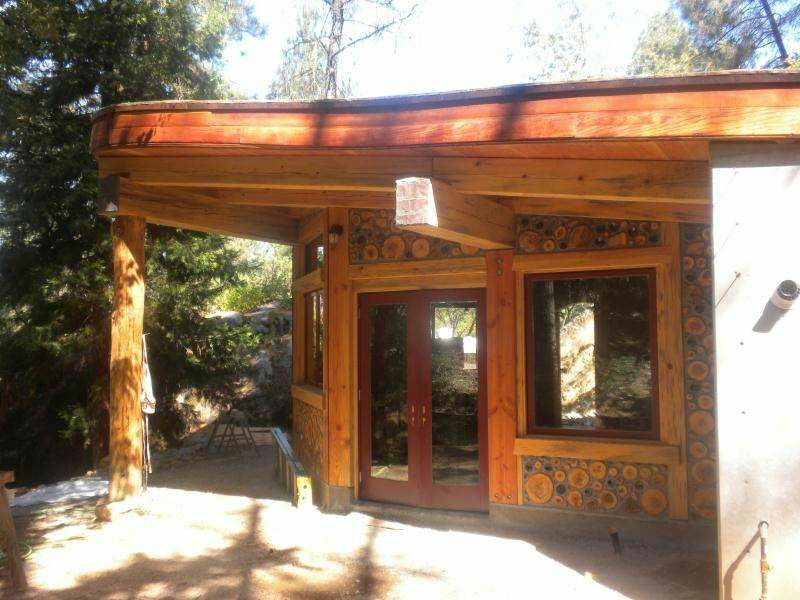 Interior corner with framing, bottle ends and red cedar. 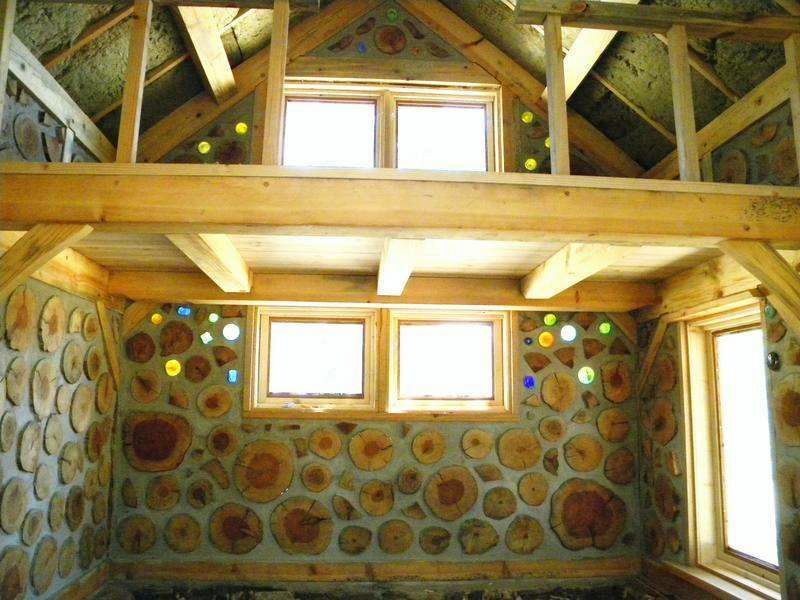 As you can see Nick is an artist with his framing, window placement, and cordwood. 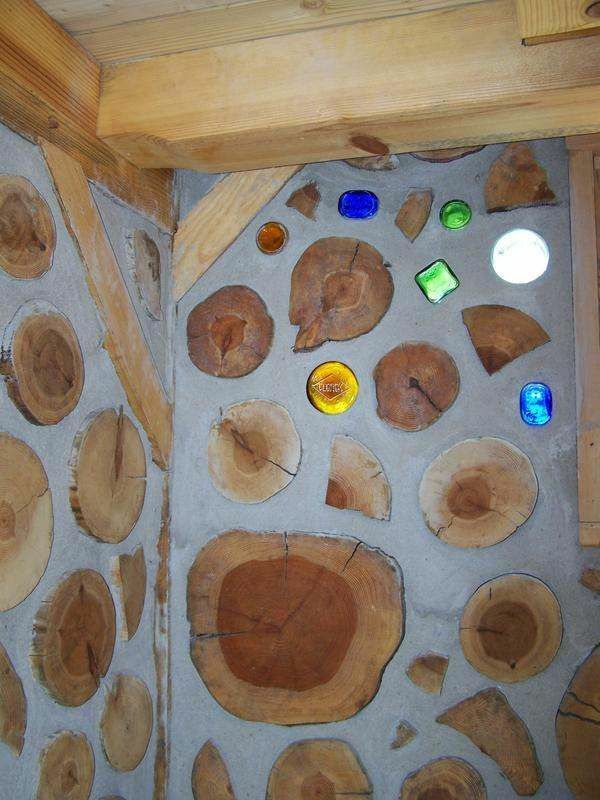 Cordwood when done properly, is such a visual feast. The door sends a warm and inviting message. Should you wish to learn how to build a cordwood chicken coop, cottage, cabin or home, please visit www.cordwoodconstruction.org While you are there, click on the pictures, read the brief articles, check out the latest workshops and newsletter and if you are interested click on the Online Bookstore to see all the cordwood literature available in print and ebook format.